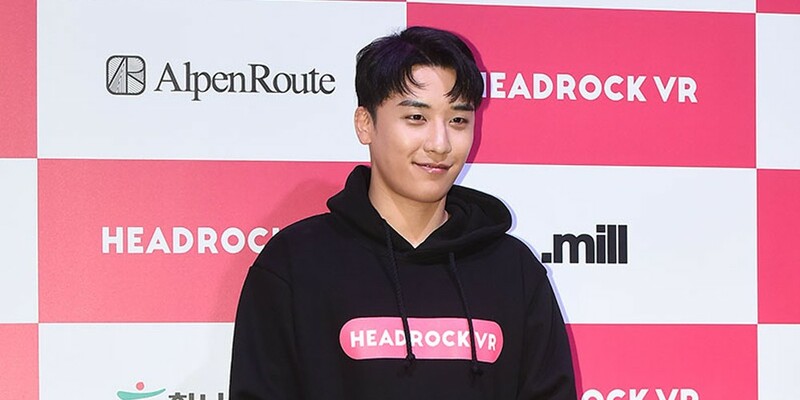 On November 7, Big Bang's Seungri attended a new product launch event for his new VR gear brand, 'Headrock VR', at a lounge in Seoul. On this day, Seungri addressed reports from last week claiming that he was recently named as the president of N Social Network Ltd's VR department. Seungri said, "I received many calls after the reports that I would be instated as president of an IT company. It's true that I was offered the president position." However, Seungri confessed that he felt pressured to become the president of a new business when he already holds the president title for his restaurant chain business, and so he turned down the offer. Instead, on November 7, Seungri was officially instated by the CEO of N Social Network Ltd. as creative director of 'Headrock VR'. Here, Seungri shared about the motive behind his new venture, "I have been promoting as a member of Big Bang for 13 years. I am also involved in various businesses, but the common factor of all these things is that it deals with allowing people to have fun. I produce good food, and own clubs where people can come and have fun. I want to become a figure who can provide fun in various aspects. To this identity of 'Fun' that I have, the VR business matched well." Meanwhile, Seungri's 'Headrock VR' franchise will launch this November 15 through its first official store opening at Universal Studios, Singapore.